When you walk into a room in someone’s home, what’s the first thing you notice? Is it the paint color, the details of the furnishings, the architectural woodwork and carvings, the art, the flooring, ceiling, or all of the above? Chances are, you would not be able to really notice any of it if not for the one element that makes all the others sing – the lighting! 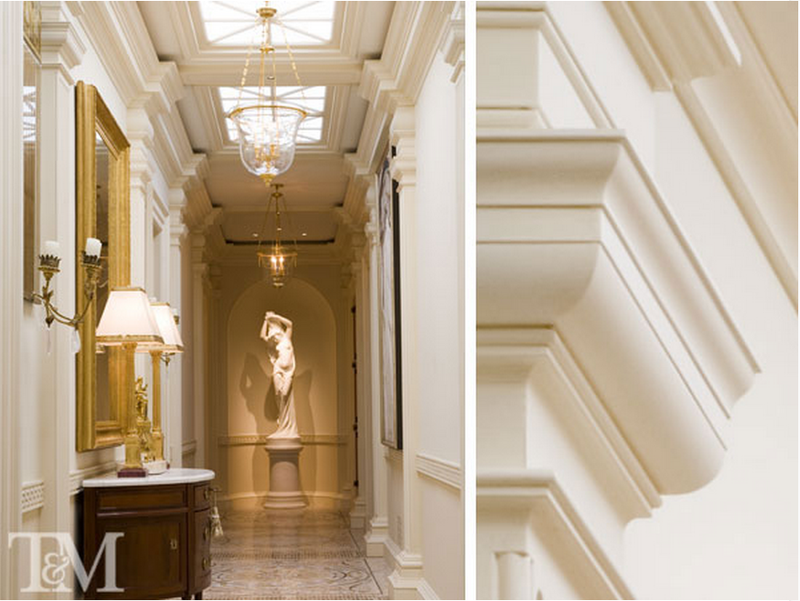 The right lighting, positioned strategically throughout a luxury residence, is the one element that creates the very special atmosphere the best homes possess. When it’s done well, you’re not even aware of it, yet it impacts every perception you might have about a home. 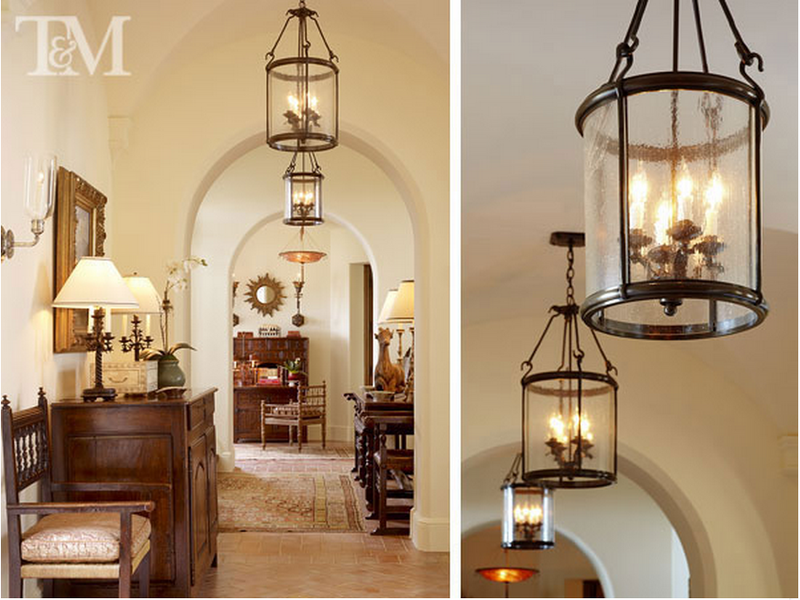 Small pools of glowing light scattered throughout a room, on dimmers, are often the difference between a room that works, and a room that doesn’t – especially for entertaining. 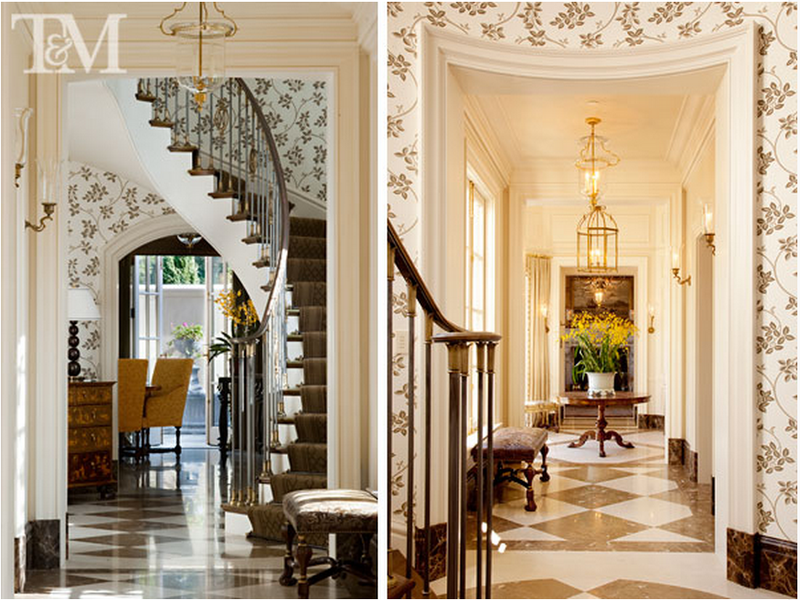 Suzanne Tucker, of San Francisco interior design firm, Tucker and Marks, an interior designer we’ve frequently mentioned here on Hadley Court, is a master at working with lighting to create this special atmosphere in the homes she designs. Take a look at the image below. How many different kinds of lighting are you noticing in this hallway? Can’t you just imagine the dramatic impact of this hallway at night? Another Tucker and Marks project with several sources of lighting, beautifully integrated into one space. 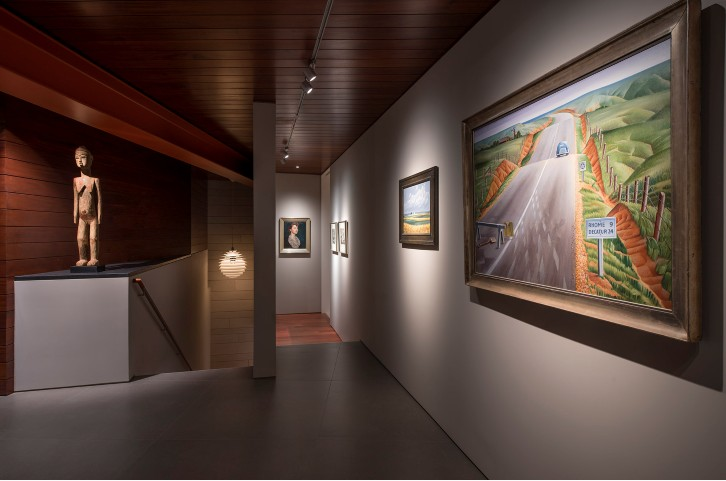 Luxury interior designers like Suzanne Tucker and Leslie Hendrix Wood will often collaborate with well known lighting designers, who have received in-depth training in lighting design. 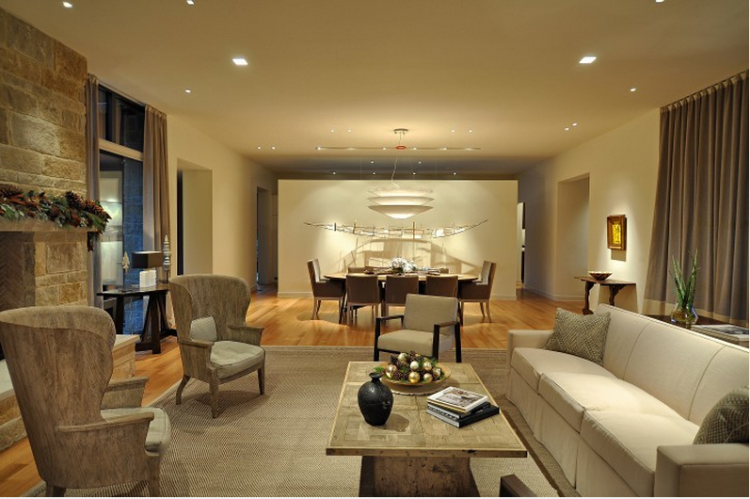 One well known lighting design specialist in Dallas is Douglas Lighting. The 3 pictures below are from their portfolio. For those of you who may be wondering about what kind of energy saving light bulbs interior designers and lighting designers are specifying in these beautiful designs, our sources tell us that CREE, named by Fast Company as the #1 most innovative company in their energy innovation sector, is their go-to resource. www.cree.com has wonderful tools on their site for you, dear Hadley Court readers. 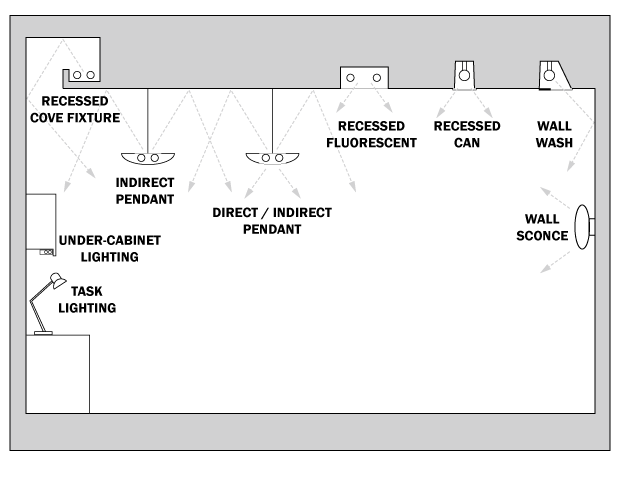 And this simple infographic helps you know what the different types of lighting sources are called and what type of lighting they provide. 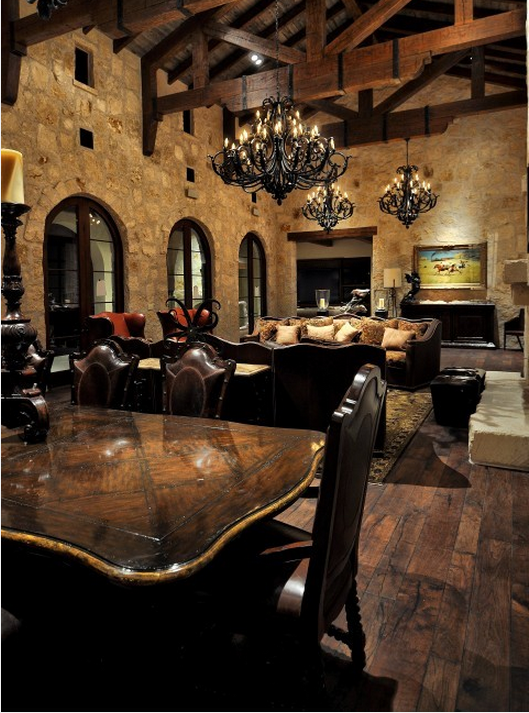 A luxury home will normally have a combination of all of these, in addition to chandeliers, candles, natural lighting and specialty lighting for art and objects. And one last image, of a type of lighting we haven’t shown you yet, employed by eminent interior designer Bunny Williams. 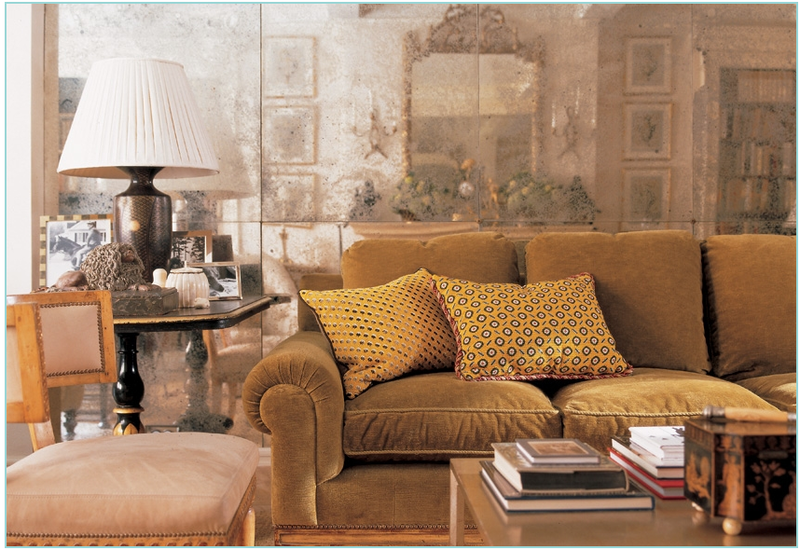 This is reflected lighting, from exquisitely antiqued mirrors placed behind her sofa, in her own New York City living room. We hope you’ve enjoyed today’s post, dear readers! If you missed our post last week, on everything you need to know, in detail, on luxury lampshades, we invite you to click the link below to read it now. Image Credits are linked to and noted within each image. Thanks for sharing. Your article is so inspired. Thank you so much. We’re so glad you enjoyed the article and that it was useful to you! We appreciate you stopping in to let us know! Thank you for the sharing. I can now adjust my lightning to suit the setting of my room. Hi Crafty Girl! Thanks for stopping in to comment and let us know you found the lighting post useful to you. We really appreciate it. Have a great day!